?This is the ideal travel easel to bring with your everywhere! 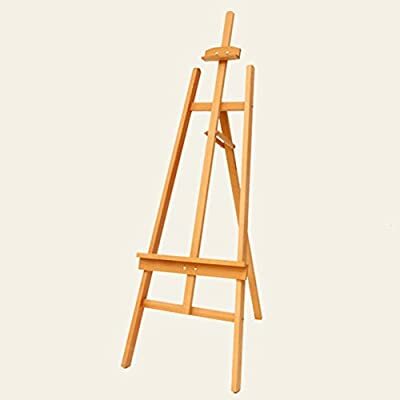 Truly a professional field sketching easel for artists, students, professionals and hobbyists alike! •Delivery Time 9-15 days, Return range 30 days, sold directly by the manufacturer. 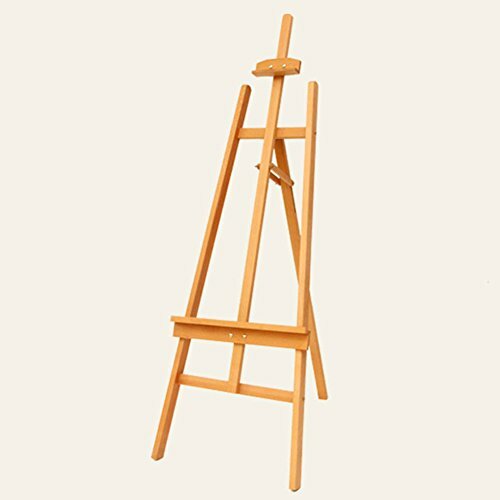 Our selection of top quality easels a offer a solution to any painting environment whether it be at home, in school at the studio or outdoors. 1. On the error: Due to different measurement methods, so 1-2cm error. 2. About color: Due to the different computer monitors, will inevitably lead to some visual differences, please understand. 3. About Logistics: We will be the fastest speed for you to launch, but may be due to external factors (climate), there will be delays, please be patient. ?Why Wait!? Click Add to Cart to order your Professional Easel for Artists today! ?Material? : Beech ?Wooden Art Easel Size? : approx. 52 x 150 cm ( L x H ) ?Portability? ?Easy to dismantle and assemble. Convenient to carry and use. ?Design? ?High flexible Spring buckle to hold the canvas tight , adjustable wide high-load drawing article to support drawing board. Retractable bracket. Meet the Height and Angle adjustment needs. ?Multipurpose? ?A perfect field easel for indoor or outdoor variety of art, desktop displays, writing boards, menus and poster boards.